A former Obama administration housing secretary is taking aim at President Donald Trump at a Democratic event in New Hampshire, saying he's "dividing us instead of bringing us together." Former San Antonio Mayor Julian Castro is the keynote speaker at Friday's New Hampshire Young Democrats Granite Slate Awards. He says "when he's not golfing or tweeting or vacationing, the president is dividing us instead of bringing us together." 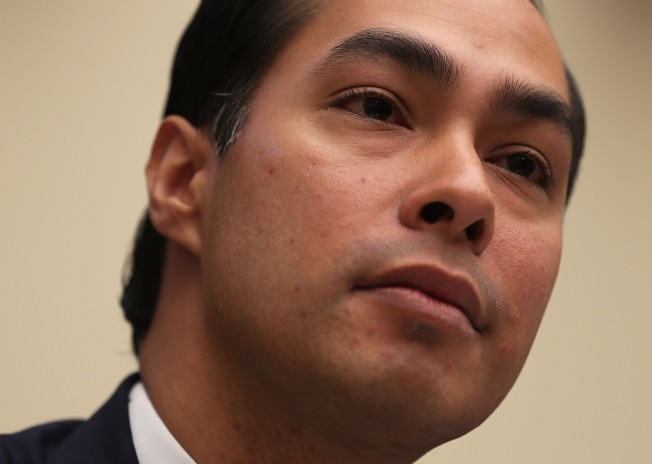 Castro, who's considering a run for the 2020 Democratic presidential nomination, didn't address his ambitions. But he tells The Associated Press he'll decide on a possible White House run by year's end. Castro says he's devoting this year to "helping young, progressive Democrats get elected throughout the county." After that, he says he'll "make a decision about my own future."